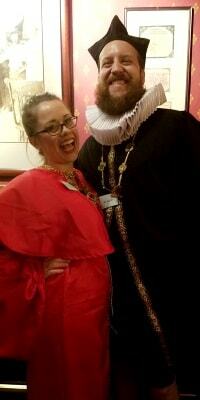 Unforgettable murder mystery party games – guaranteed! 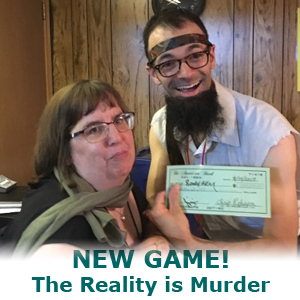 Our murder mystery games put YOU in the middle of the action. We don't give you a predetermined script to read out, we don't drip feed your background to you – we don't even know how the game will end. But we do give you your detailed character background in advance. We give you goals and contacts – and secrets. You might have a secret identity, you might be rich, you might be poor – you might even be the murderer (we'll tell you up front if you are). We even give you ways of finding out other players' secrets – just so you can blackmail them. You will decide who to talk to, who to trust – and who to betray. You may know who your friends are. Or you may only think you know who your friends are. You won't know until the chips are down. Welcome to a Freeform Games murder mystery! What is a Freeform Games murder mystery game? A Freeform Games murder mystery game is an interactive party where each guest has a character and a role in a story that will be played out over the course of three hours or so. Usually one person is the murderer and their job is to escape detection and put the blame onto someone else. As well as solving the murder, in a Freeform Games murder mysteries, everyone has other goals – maybe to find hidden pirate treasure, or to blackmail a rival, win another's heart or maybe just make as much money as possible. One person is the Host, and acts as organiser and co-ordinator, responsible for making sure everything runs smoothly and that all the guests have the information they need. They also act as referee should an impartial decision be required. 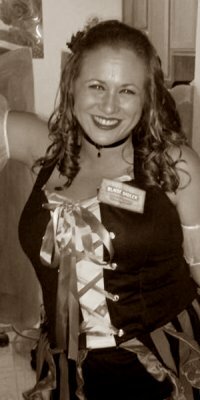 Step-by-step instructions for the host detailing everything to ensure you have a successful murder mystery party. Characters for each guest – including character background, character goals and information on who else they know. These detailed character backgrounds provide all the information your guests need to play their characters. Quick start hints – each guest will have their own quick start hints, ensuring that your game starts with a bang. Abilities – each character has a few special abilities that let them break the rules that they can use to find clues and find out secrets. Item cards – key items in our games are represented by illustrated item cards. Other clues and announcements – held by the host until key moments during the game. Detailed rules covering all the likely situations that may arise during the game. Sometimes these will include rules for poisoning or attacking other characters in the murder mystery game! A quick reference sheet for the host containing the key information they need when running the game. Our support – we are available on our forums or by email to help with any queries that you might have with your game. Access to free extra characters that other customers have written in case you have more guests than you originally planned for. 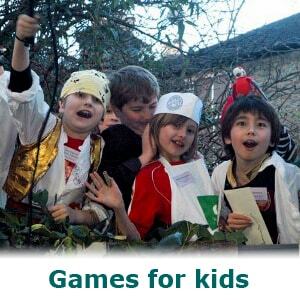 We've found that kids of age 12 and above enjoy our murder mystery games as much as the grown-ups. So we've ensured that a number of our games are kid-friendly. Our downloadable murder mystery games come complete with full instructions for running a thrilling evening of deceit, treachery and murder. 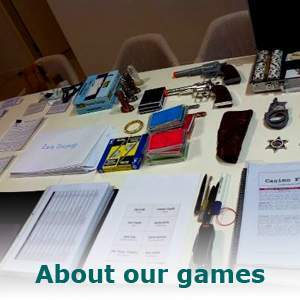 The games include detailed character sheets, simple rules – plus newspapers and whatever else the plot requires. You'll have everything you need to host an unforgettable evening. These murder mystery games are only available over the Internet. You won't find them anywhere else. 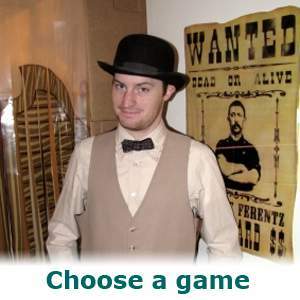 We also have a free murder mystery game that you can download and play. The only difference between the free version of Way out West and the paid version is that the free version is for 10 players, while the paid version will cater for up to 24 players. To find out about the free game and how to sign up to our newsletter, just click here. 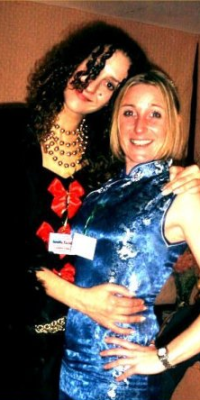 We are two veteran game designers, who started this bsuiness back in 2001 because we wanted to add something fun and exciting in the way of murder mystery party games! Click here to learn more about us. Our games are a bit different from other murder mystery games, and they aren't for everyone. But because we believe they are the best murder mysteries anywhere (and we're not the only ones that believe this – check out our testimonials), we want you to try them RISK FREE. That's why all of our murder mystery games come with a Cast-Iron, no-quibble guarantee. If you're not completely satisfied then please let us know within 30 days and we will promptly refund you the purchase price, no questions asked. Your next step to hosting a Freeform Games murder mystery game is to choose a game – click here for our advice on choosing a murder mystery game. Or click here if you want to host a game that's suitable for kids.